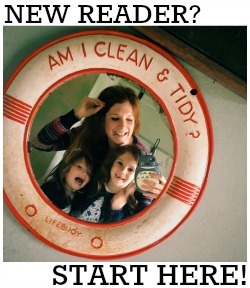 Have an Extra Special Personalised Christmas with Next! Christmas is only three weeks away (eeeeek! How did that happen?!!) and after a tough couple of months, I'm determined to make this festive season absolutely brilliant for the girls - as well as for myself. I've been doing quite a lot of shopping at Next this year - they are SO good for clothes and homewares and I LOVE their next day delivery service (it's so perfect for impatient shoppers like me that hate waiting for their purchases to arrive!). 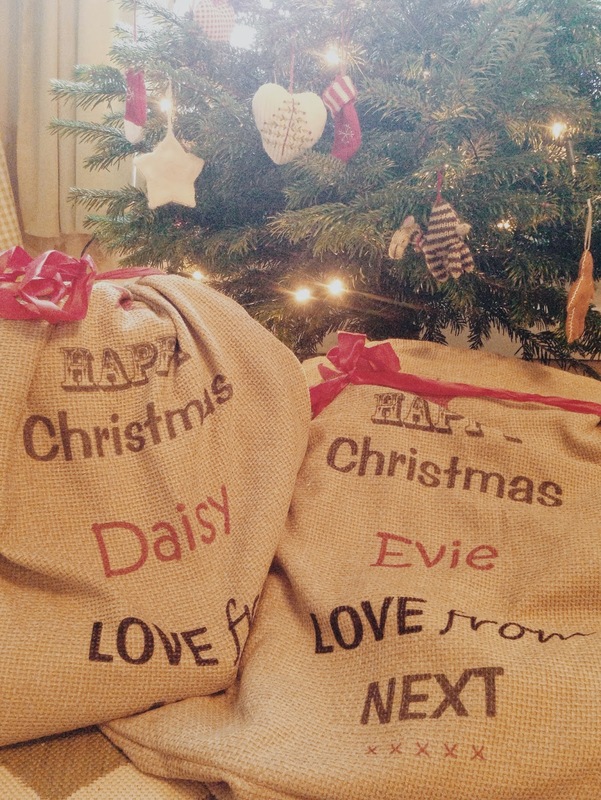 With Christmas around the corner I turned to them for party outfits and stocking fillers and was really excited to see their new personalised santa sacks; even more so when I was asked if I'd like a couple for Daisy and Evie! They're made from super soft shenille that looks like rustic hessian and have a pretty red ribbon to keep all the presents safe inside them and they're really rather roomy at 82cm x 71cm. I can't wait to fill them full of lots of treats for the girls; having an extra layer of present opening in the form of a stocking or sack seems to make Christmas morning all the more exciting! It's like pass the parcel but the music only stops on you.... YAY! They are available online here and cost just £16 each - and you can choose both the recipient's name and who it's from (or just have 'Santa'). Delivery takes up to twelve days. Other presents I've chosen for them from Next (so far!) include these cotton Frozen duvet bedsets, these AMAZING cat hats and gloves (I want some for myself!) and a pair of wellies for each of the girls (I went for these and these). 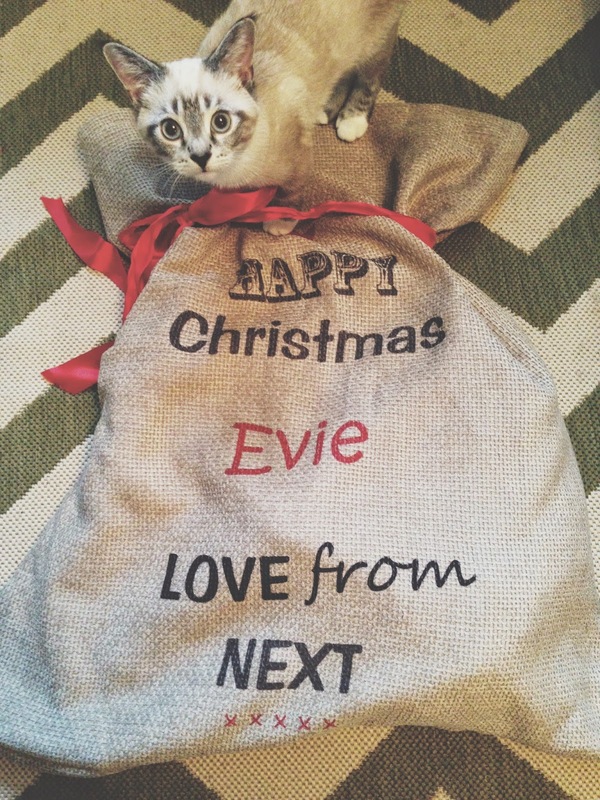 DISCLAIMER: Next sent the girls a personalised Santa sack each, free of charge, in exchange for this honest post.